Southern Utah University senior Jayson Kovar saw his career come to a close on Friday evening in Track Town, as he ended the season as an Honorable Mention All-American at the 2017 NCAA Outdoor Track & Field Championships. Kovar competed in the discus, where he finished 17th overall in the field. Kovar started the second of two flights with a throw of 179' 2''. After his second attempt went foul to the right, he sent his third and final throw 180' 2'', which put him in 17th place. Only the top nine move on to the final round. 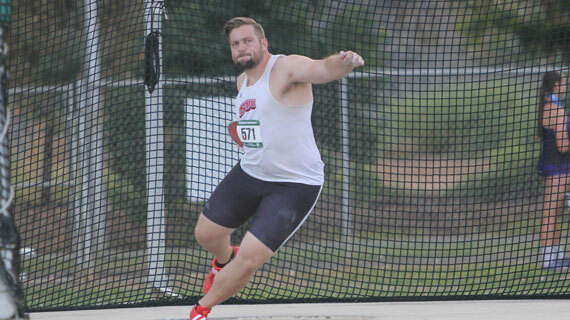 Filip Mihaljevic, a senior from Virginia, won the National Championship in the event with a throw of 209' 2''. Last season Kovar earned Second Team All-American honors at Nationals. He will leave Southern Utah as the record holder in the discus and the shot put in the outdoor record book. When asked what some of his best memories as a Thunderbird will be, Kovar said his teammates have definitely left a lasting impact on him. For all things SUU track and field follow @SUUTrackandxc on Twitter and Instagram and like the Southern Utah Track and XC page on Facebook.